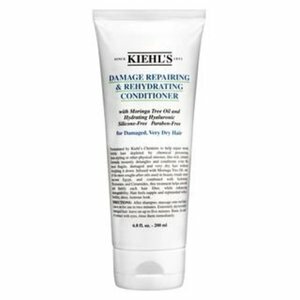 Kiehl's Since 1851 Damage Repairing and Rehydrating Conditioner is a nourishing product that helps restore your hair's manageability and elasticity. 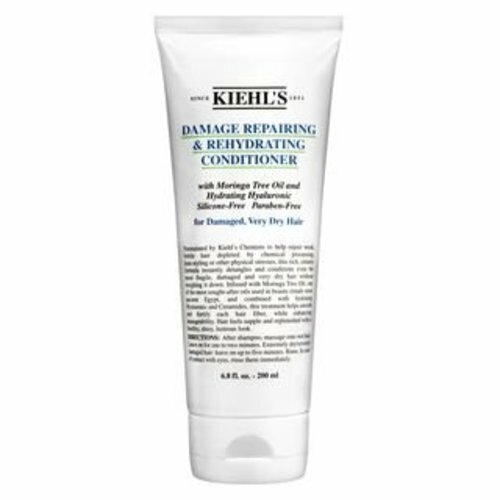 Its formula, infused with moringa tree oil, hyaluronic acid and ceramides, smoothes and fortifies hair fibers and is ideal for those with chemically processed hair or hair that's been through excessive heat styling. 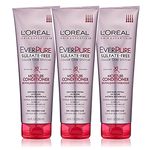 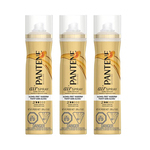 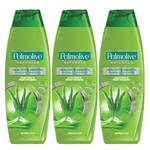 • For best results, shampoo with Damage Repairing & Rehydrating Shampoo and finish with Leave-In Treatment.